Arrive in Harbin, you will be met and transferred to the hotel. Enjoy the rest of the day by yourself. Our local guide can help you to buy some cold equipment, like thick cotton gloves, earmuffs and hat etc, because the local temperature is -100C or more in winter. Lunch will be on your own order. 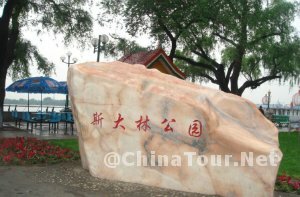 - Sun Island: It is the recreational center for the people of Harbin. They come here to enjoy the sun during summer. When winter comes, the river freezes solid. Ice-skating becomes the rage. 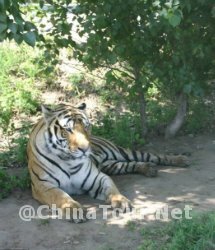 - Siberia Tigers Park: The new Siberia Tiger Park was opened in 1996 on Sun Island. A large recreational district is currently under development, featuring gardens, swimming lakes, cafes, and a hunting range. The tiger reserve has been finished. The goal of the reserve is to save, study and breed these great cats in captivity and eventually release them into their natural habitat. 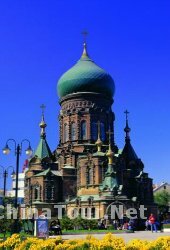 - Santa Sophia Church: It is jammed into an area of new construction, most notably several karaoke entertainment complexes with monumental Roman statuary mounted on their garish facades. 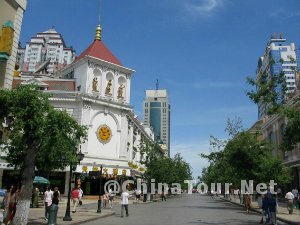 - Center Street: First built in 1925, Center Street is the most prosperous street in Harbin. It is also an architecture art gallery with the building in much kind of the styles such as Baroque, Eclecticism and so on. You will be transferred to the airport in time for your flight departure. Say Goodbye to this beautiful city. You also can extend your trip for Yabuli Ski Resort or Xuexiang, and we can arrange them in your trip. B. Personal Guide & Driver + Private car / van for Transfers between sightseeings. C. Twin share bases in hotel as listed and offer extra bed for the 3d person . D. All Service Charge and Taxes. E. Luggage Transfers between airports and hotels. 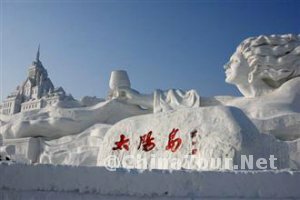 1, Best season to visit Harbin City is in Janurary and Febrary because warm weather in March would make the ice and snow sulptures melted. 2, Remind you to wear warm coat in this around -20 Celsius degree in daytime. 1. You can book online or by email, tell us which airport to pick you up, then receive our confirmation email. 2. Call us directly and book this tour with our tour advisor's help. 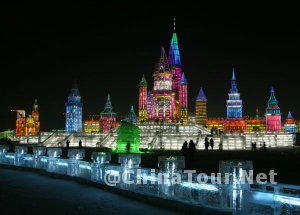 Reply : Thank you for sending email to Chinatour.Net Where do you want to visit in Harbin in 5 days? Have you booked hotel? Looking forward to hearing from you. Reply : It will turn to rain on March, it is not available outside to ski. there will be No snow festival. we suggest you go to Harbin on Feburary. Enquiry : Hi,I am interested in touring Harbin from 15-22 December,Could you kindly come up with an itinerary for me,We are a group of 5,How much will it cost? Does the cost include accommodation, admission to attractions and transport everywhere (including to hotel from airport and back? ),Thank you!